Did you know there are over 180 million active websites on the world wide web? The internet bursts with content, from excellent to mediocre and downright horrible. Websites add more content daily, which makes it difficult to find high-quality sites. In fact, the content explosion complicates things for new business owners or website managers who want to make their site stand out. With this in mind, we at SPINX Digital want to making the process of navigating through websites easier. 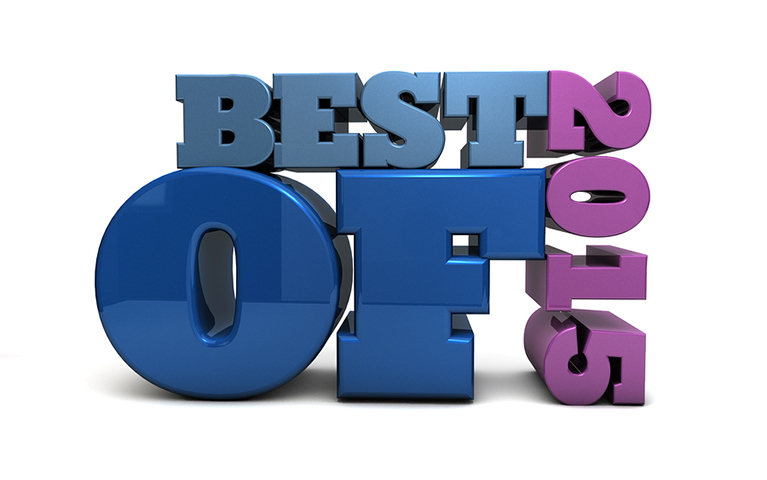 We’ve made a list of 2015’s top ten websites and what makes them stand out in an ever-changing online world. Knowing how these websites garner such attention may help your website succeed. Almost everyone watches YouTube. It’s developed a reputation as “that place you can watch [people] do terrifying things with cars,” or a place you go to watch funny cat videos when work gets tedious. However, YouTube doesn’t deserve its reputation as just a silly, time-wasting site. It actually offers plenty of services its patrons want. For example, YouTube users can rent movies for as little as $3.00, a fraction of what they’d pay using other services. YouTube is also compatible with Chromecast, most iPhones, and many computer applications. Additionally, “if it’s not on Netflix, it’s on YouTube.” Because Netflix and similar services constantly change their lineups, it can be difficult to find shows and movies you love, especially older ones no longer syndicated on television. For example, many parents who want to show their preschool children the version of Sesame Street they grew up with can no longer find episodes on Netflix. Several of these episodes, as well as popular clips, can be found on YouTube. Older TV specials and episodes of classic shows like Full House, Family Matters, and Punky Brewster are there, too. Most people enjoy going to the movies, but these days, fewer and fewer people do so. By the time you pay for a movie ticket and concession stand snacks, you’ve probably shelled out over $30. Worse, the movie you paid so much to see might not be any good. Sites like Rotten Tomatoes offer full reviews for a vast database of new releases and existing movies. Additionally, Rotten Tomatoes doesn’t make you weed through reviews. It aggregates existing reviews, grouping them into positive and negative categories, and then averages the results. This lets you review reliable numbers and determine whether a movie is worth it. Overall reviews also let you know about content issues (e.g., just how scary is the new Star Wars movie for an eight-year old?). What are the odds that certain audiences will like this film? Rotten Tomatoes works because it reviews the movie and answers legitimate questions about it. Despite the controversy it saw in 2015, Spotify is still a great site to stream music from thousands of artists in all genres. Many similar websites only offer popular or current music, which leaves you disappointed if you enjoy the oldies, independent bands, or lesser-known genres, such as show tunes. Spotify has all these options and more. Additionally, it offers customers a paid option called Spotify Premium, which allows offline streaming and other benefits, or a free subscription. This takes pressure off customers to invest money in yet another technological service. It also allows them to switch services whenever they like. 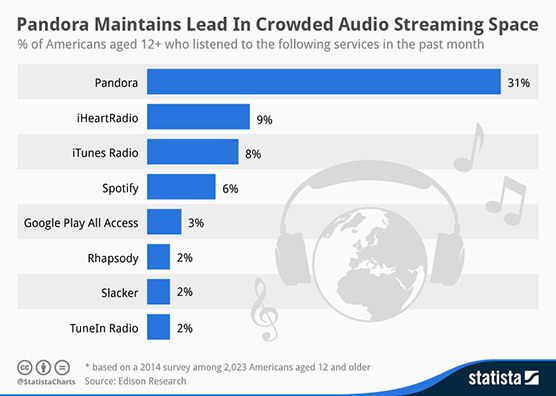 Some experts see Pandora as slightly inferior to Spotify, but this music streaming site has its advantages. One of the biggest is its ability to guess what you like. Sometimes, even your favorite music gets stale, but you aren’t sure what to listen to next. You may love a particular band or singer’s sound and want to find similar artists. Pandora is the place to go. It responds to the songs, artists, and radio stations you like, creating stations that play only your chosen music. It can also create playlists based on artist, genre, and other filters. The current social, political, and environmental climates mean watching the news is no longer something we do to unwind at six in the evening. Getting current, trustworthy news is a necessity. However, how do you know which news outlet has the best information? MSNBC? Fox News? CNN? Reuters? News outlets are everywhere, and most of them have been accused of having one bias or another. Google News separates its headlines into groups to make surfing easier. For example, popular headlines right now include “Ramadi” and “Chicago Police Department.” The site also uses more general categories such as Technology, Business, and Health. Like most of today’s successful sites, it responds to the stories you read the most and makes suggestions for you. If you’re a nursing student learning about pertussis prevention, for instance, Google News will find related stories and point you to them. This is another entertaining site from 2014 that internet users still love today. It’s a blog that takes popular slogans and rewrites them with tongue-in-cheek humor. On this blog, Hamburger Helper’s slogan becomes, “Mom’s tired.” Amazon Prime’s becomes, “Priming Us to Never Leave the House.” Girl Scout cookies become “Guilt Trip Cookies.” This website succeeds because it pokes fun at our idealized version of life, right down to the items we buy. In doing so, it gives us permission to laugh and be realistic about our expectations of products and our life. Have you always wanted to learn a new subject but don’t have the time or inclination for a full online degree? Are you interested in so many subjects you couldn’t possibly learn everything there is to know about each one? Coursera is here to help. This online education website recently won a Webby and for good reason. Coursera offers online lessons in everything from anthropology to psychology. Over 11 million “Courserians” are taking over 900 courses right now, some of which come from top universities around the U.S. Better than that, you don’t need a computer to use Coursera – it’s compatible with phones and tablets, too. Increasing numbers of jobs require tech skills, but we aren’t all well versed in the latest technology. In fact, some of us would probably be content to go back to the technology of 1995 and stay there. If this describes you, or if you need to polish existing skills before interviewing for a tech job, Udacity may help. It offers several “nano-degree” courses in skills like Web development or IOS. Learnist is a bit like Coursera, except it focuses a bit more on practical learning. This is the site for internet users who want to learn to be financially savvy adults, cook healthy meals, or make sure their internet privacy is protected. Learnist offers several “curated articles” on a variety of topics, from the fun to the serious.